Amb. Eng. Mahboub Maalim lanches AU Commissioner Candidacy - The Embassy of The Republic of Kenya, Addis Ababa, Ethiopia. On Thursday 7th July, 2016 Amb. (ENG) Mahboub Maalim, launched his candidacy for Commissioner for Infrastructure & Energy of the African Union Commission at Radisson Blue Hotel. The event was attended by H.E. Erastus Mwencha, Deputy Chairperson of the African union Commission, Amb. 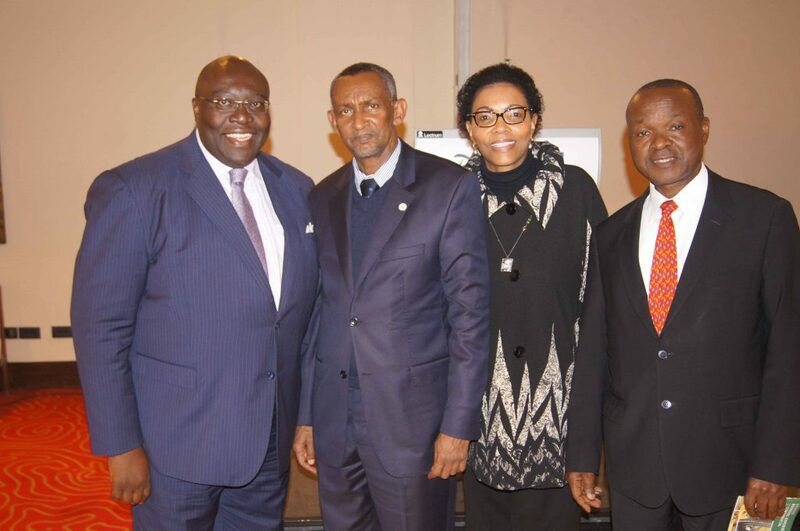 Tom Amolo, Political & Diplomatic Secretary of the Ministry of Foreign Affairs of Kenya, Members of the African Diplomatic Corps, African Union Staff and the Kenyan Diaspora. The launch was to seek support from member states as Eng. Mahboub had been endorsed for the position by the East African Group. The Elections for Commissioners will take part during the African Union Heads of States and Governments Summit to be held in Kigali, Rwanda.